Commercial red meat production for the United States totaled 4.06 billion pounds in February, up 3 percent from the 3.94 billion pounds produced in February 2017. 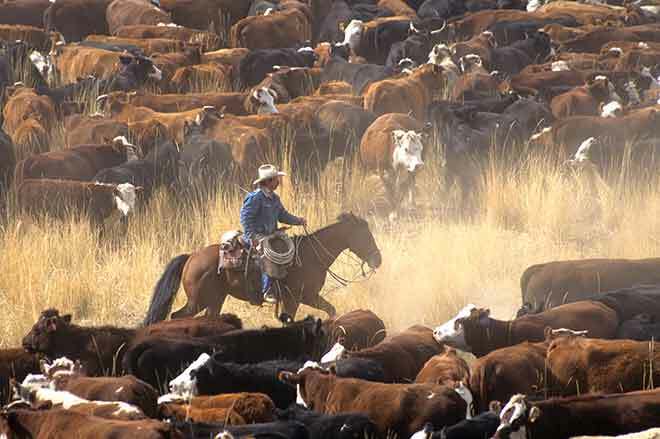 Beef production, at 1.98 billion pounds, was 3 percent above the previous year. Cattle slaughter totaled 2.42 million head, up 2 percent from February 2017. The average live weight was up 8 pounds from the previous year, at 1,368 pounds. Veal production totaled 5.8 million pounds, 3 percent above February a year ago. Calf slaughter totaled 41,100 head, up 2 percent from February 2017. The average live weight was up 1 pound from last year, at 242 pounds. Pork production totaled 2.06 billion pounds, up 4 percent from the previous year. Hog slaughter totaled 9.64 million head, up 3 percent from February 2017. The average live weight was up 2 pounds from the previous year, at 286 pounds. Lamb and mutton production, at 11.8 million pounds, was up 5 percent from February 2017. Sheep slaughter totaled 164,800 head, 3 percent above last year. The average live weight was 143 pounds, up 3 pounds from February a year ago. January to February 2018 commercial red meat production was 8.65 billion pounds, up 5 percent from 2017. Accumulated beef production was up 5 percent from last year, veal was up 4 percent, pork was up 5 percent from last year, and lamb and mutton production was up 4 percent.